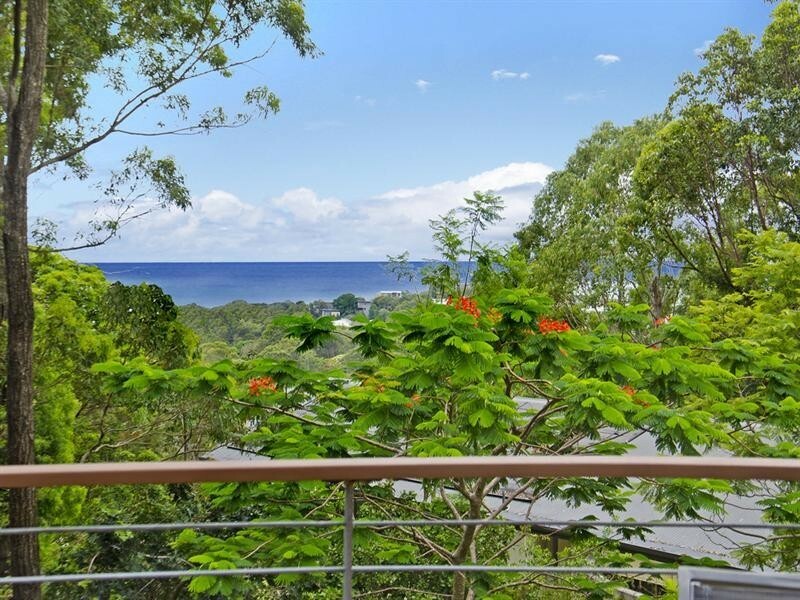 With ocean views towards Coolangatta and security gates at the front entrance, this private hilltop estate is an ideal retreat. Polished Blackbutt timber floors flow throughout the large open plan layout, featuring a floating glass breakfast bar, Caesarstone benches and Highland gas cook top from the kitchen. Triple stacker sliding glass doors lead to the large timber balcony as an ideal space for intimate entertaining and relaxing. With a master bedroom opening to the balcony, and presenting a walk-in robe, the twin shower and vanity offers an ideal ensuite for two. 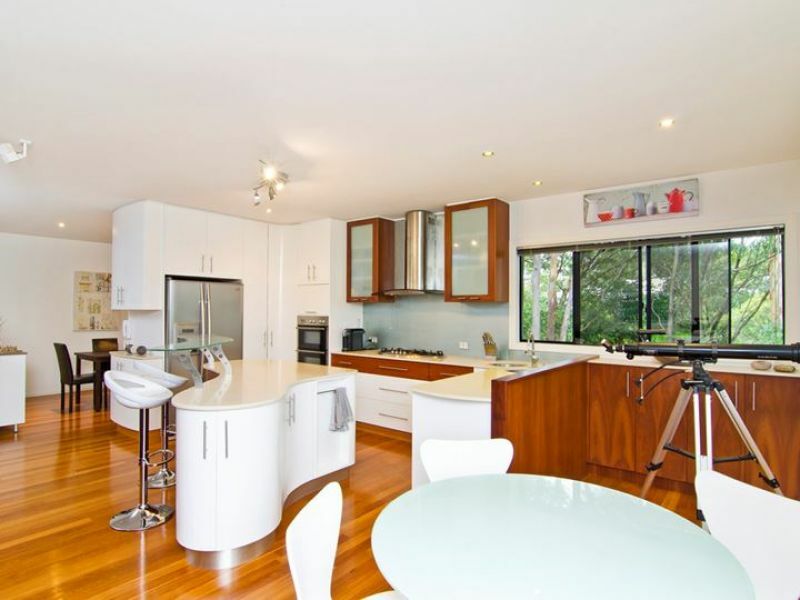 Three bedrooms feature built-in cupboards and study desks with a separate living area. 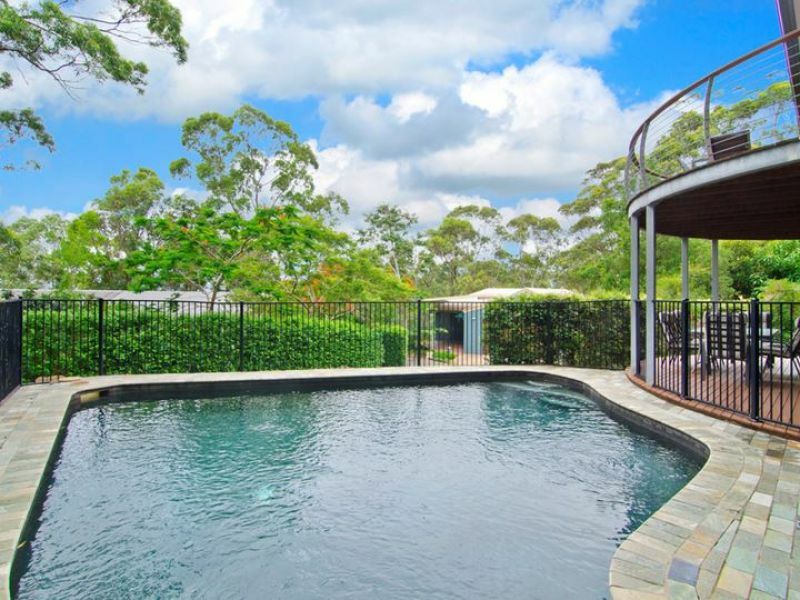 An entertainment deck with an in-ground pool, laundry and second bathroom complete this property as the ideal Currumbin sanctuary. The iconic coastal suburb stretches from Currumbin Creek in the north to Wyberba Street in the south, identified by its headlands projected onto the beach. With the M1 Highway to the rear of Currumbin and the Gold Coast Highway winding over the headland, this suburb revels in its natural vibrance. Home to Currumbin Valley Reserve, Currumbin Wildlife Sanctuary and popular swimming hole the Currumbin Rock Pools, Currumbin's beaches stand out as her crowning glory where the iconic beach front with Elephant Rock and Currumbin Rock surround a discreet surf beach with Currumbin Alley a popular surfing site. Currumbin presents an array of picturesque cafes open for breakfast, lunch and dinner, particularly ideal for the brunch circuit with the setting of pristine beaches contributing to the immediate dynamic lifestyle. Thank you for connecting with Schmith Realty. We will be in touch with you shortly.